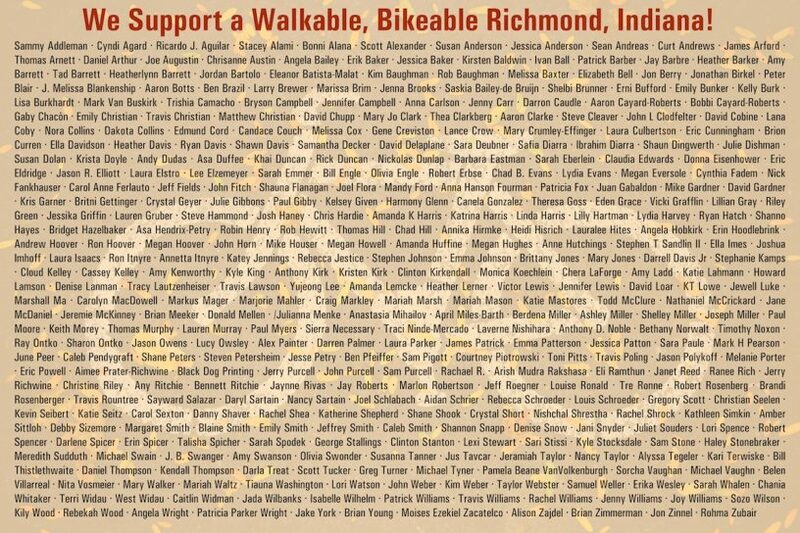 In the last few days, 400 people and counting have signed a petition I started expressing support for allowing Richmond’s planning of new bike and pedestrian paths to move forward, instead of getting stuck. In some ways, these hundreds of people are simply responding to a problematic ordinance being considered by Richmond’s Common Council. They are saying that pursuing improvements benefitting the entire city and future generations is more important than being paralyzed by short-term fears about how change might impact one person or business. And they are saying that they want local leaders to put aside divisive tactics and personal attacks that pander to a few, and to instead work together to find solutions that move us all forward. I hope Council listens, but whatever happens at tomorrow’s meeting, it’s heartening that so many have declared, publicly and clearly, that they want something better for Richmond. Thanks to everyone who signed the petition, everyone who will be present at Monday’s meeting, and everyone who works in your own way to make Richmond a better place.